Early morning at Namdaemun Market. Hi from Malaysia! I went to Seoul last year and since then Seoul has a special place in my heart..Your photos remind me of wonderful Seoul. 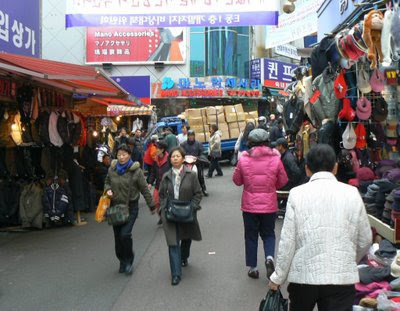 There are really lots and lots of things to buy in Namdaemun Market.. I spent a lot of weekends in Namdaemun Market shopping and spent a lot of money there before returning to the UK. I taught English in Direct English in Gangnam for 2 years. Had a great time there. Paul - Seoul Traveller.